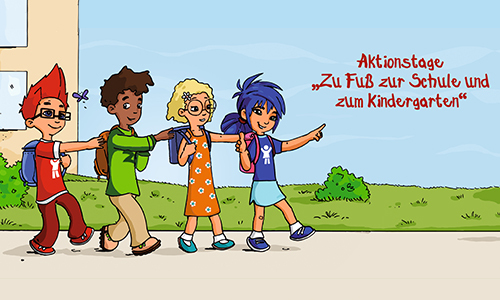 Every year September 22nd is “Walk to School“ day, not only in Germany but worldwide. On this day, children are encouraged to move – to come to school on foot, by bike or by scooter. We want to participate in this event again this year. During this period, everybody at Charles Dickens Primary School should refrain from using the car from Flatowallee, so that Dickensweg becomes a “car-free zone” for this period. It would be nice if everyone again took part in it and actively supported this action by deliberately avoiding using the car for the final meters to the school gate.